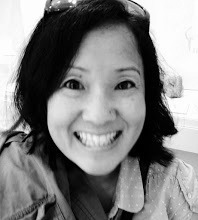 2015 Design Team: Introducing Mayuri, Anna Kossakovskaya, and Amy Tsuruta! Hello friends! I've got 3 more incredibly talented design team members to (re)introduce you to ;) These 3 ladies were with us for 2014, and we are so lucky to have them sharing their talents with us again! Hi, It's ~amy~! I live in Washington State. I'm the proud mother of two lovely kids and am engaged to "thee most spectacular guy" who supports my crafting obsession. 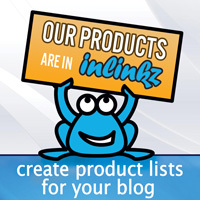 I work part-time for a start up biotech company in Seattle, have been blogging since 2007. I absolutely love being part of this crafting community!! Hello, I’m Anna! And I'm very passionate about scrapbooking and cardmaking, it is really my great passion! This is my hobby since August 2011, when I made my first card. And since then, I still can not stop constantly making new discoveries in this wonderful world of creativity and improving my skills. I studied the protection of the environment at the university, and not worked a day in my specialty line. Then I began to work as a bank analyst. Various reports and tables - that's what I love almost as much as scrapbooking, haha! At the moment I'm on holiday childcare. Our daughter is two years, and yet we have a kitten Diana, and I call them my demons - because they are very active and often drive me crazy! And will tell you a terrible secret - I'm a gamer and I love different games! Sometimes in the evenings I play with my husband, but unfortunately, I have very little time for this my hobby. 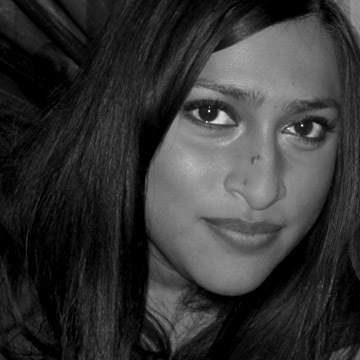 Hello, I'm Mayuri and I'm so excited to be continuing with the Neat & Tangled Design Team for 2015! I'm a Graphic Designer turned Project Manager working in a design agency by day, but becoming an avid crafter by night. My style of card-making ranges from clean and simple through to arty, textural and experimental. The crafting / blogging community has had a huge influence on my card-making - I hope I too can be equally inspiring and encourage you all to get stamping! Congratulations ladies!!!!! 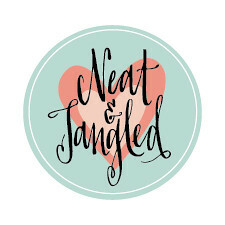 Such exciting news - I'm so happy to see more of your Neat and Tangled creations!!!! Happy 2015! 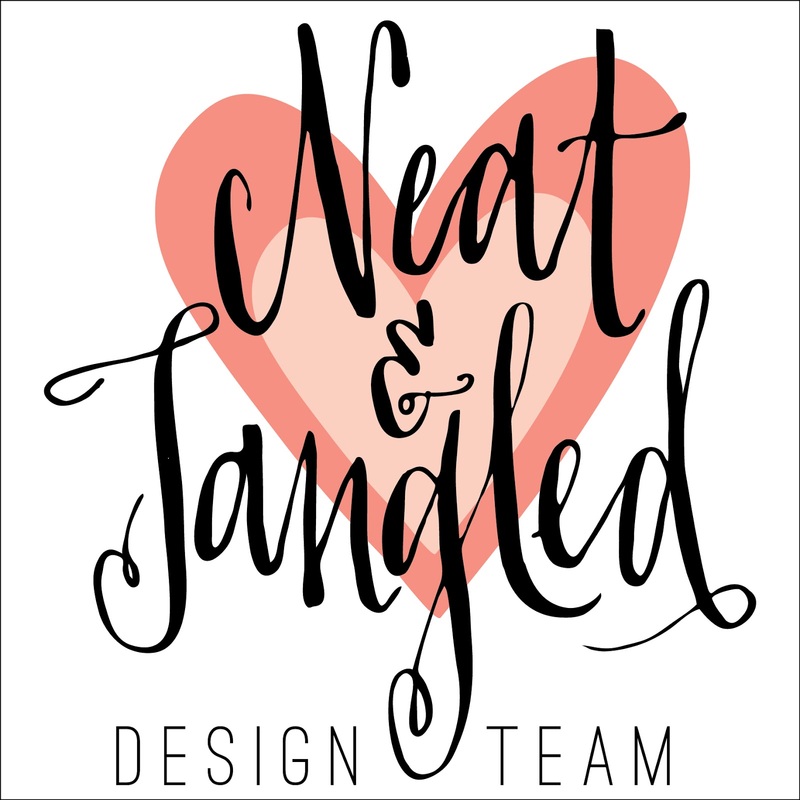 So happy to stay on the team...I ♡ Neat & Tangled! HUGE HELLO and CONGRATS Amy, Mayuri and Anna!!! So very blessed - 3D style! December Guest Designer: Lea Lawson! Holiday Coffee Lovers Blog Hop! Paper Crafts and Scrapbooking Thank You!